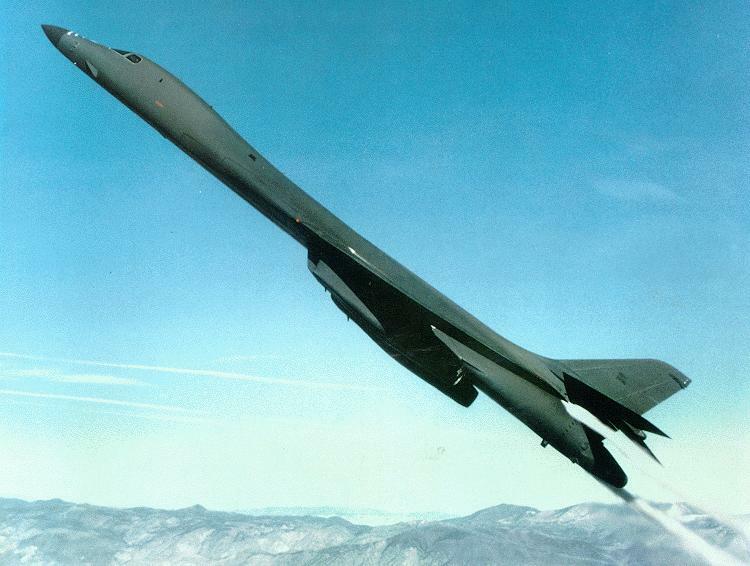 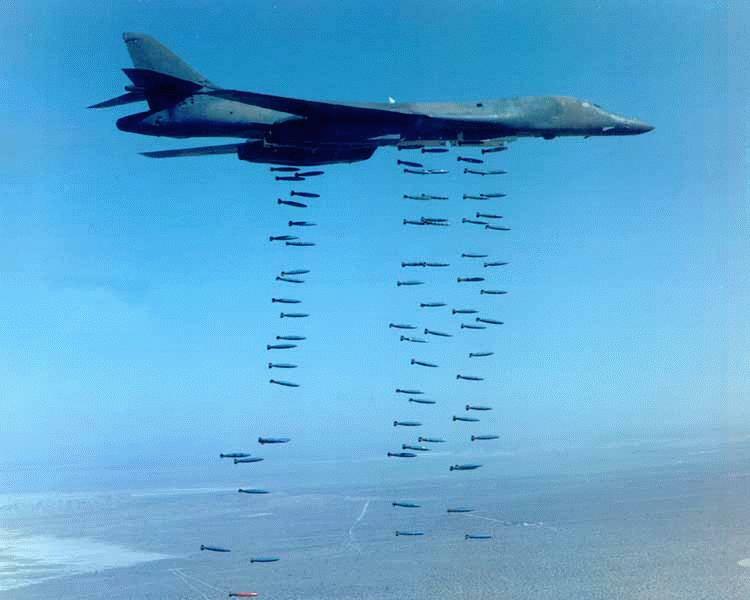 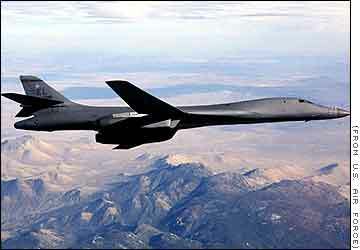 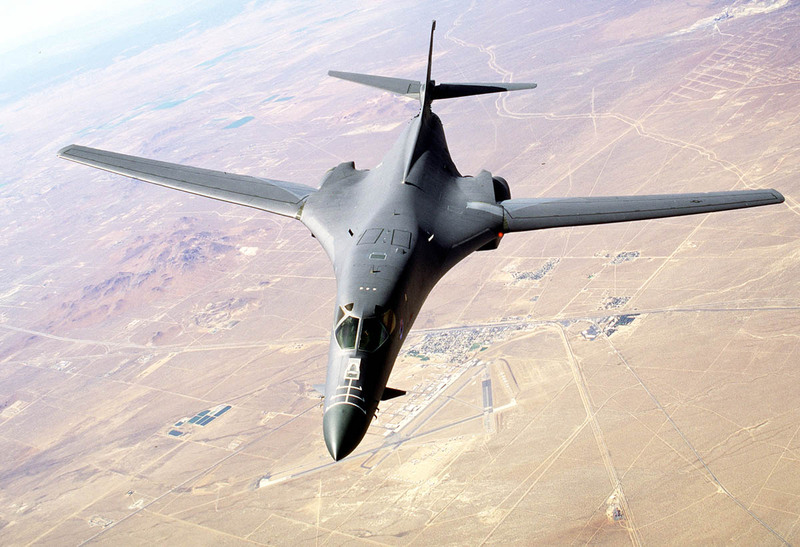 The B-1 is a long-range strategic bomber with a distinctive streamlined shape. 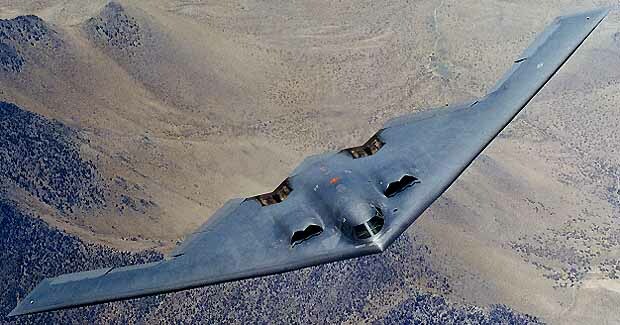 It was originally designed to deliver nuclear weapons to targets in defended Soviet airspace, but can carry a variety of conventional arms as well. 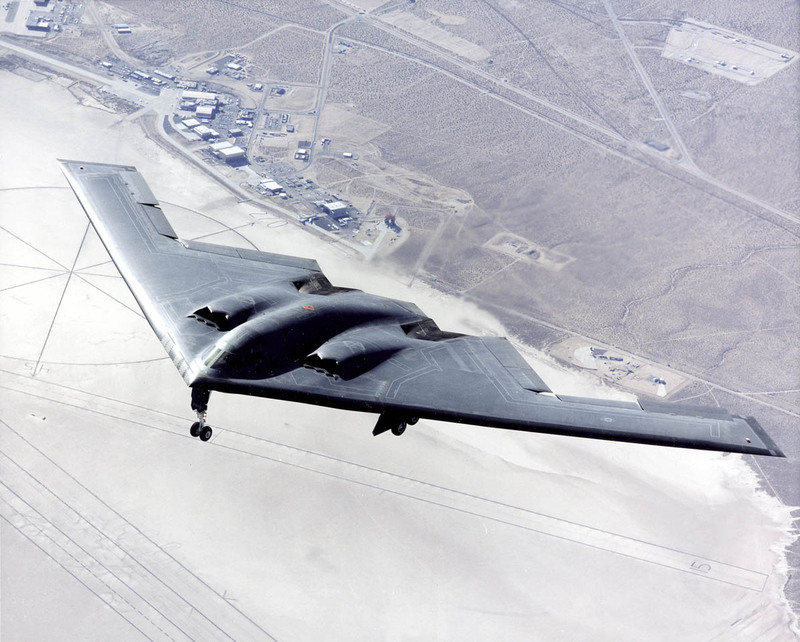 The B-2 Spirit is a multi-role bomber capable of delivering both conventional and nuclear munitions anywhere on the globe. 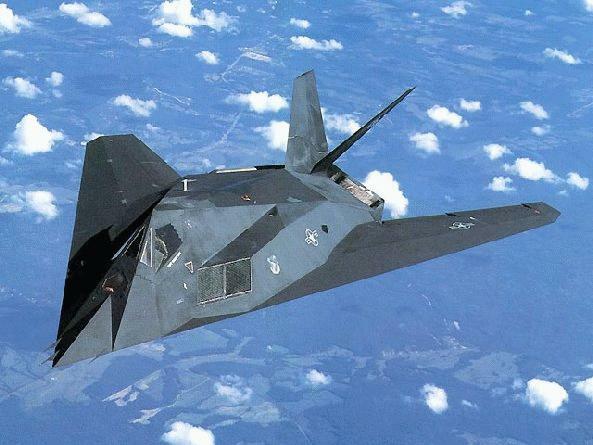 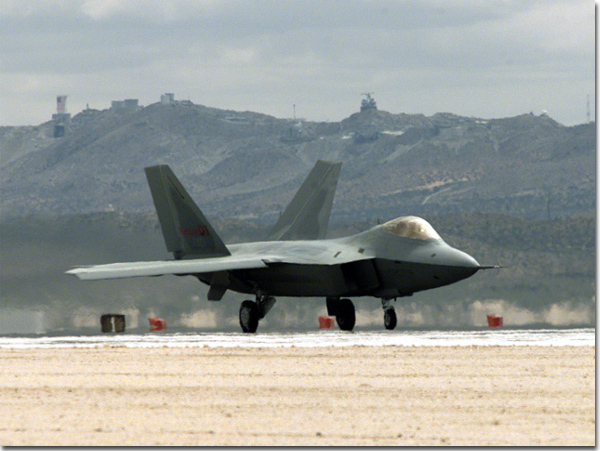 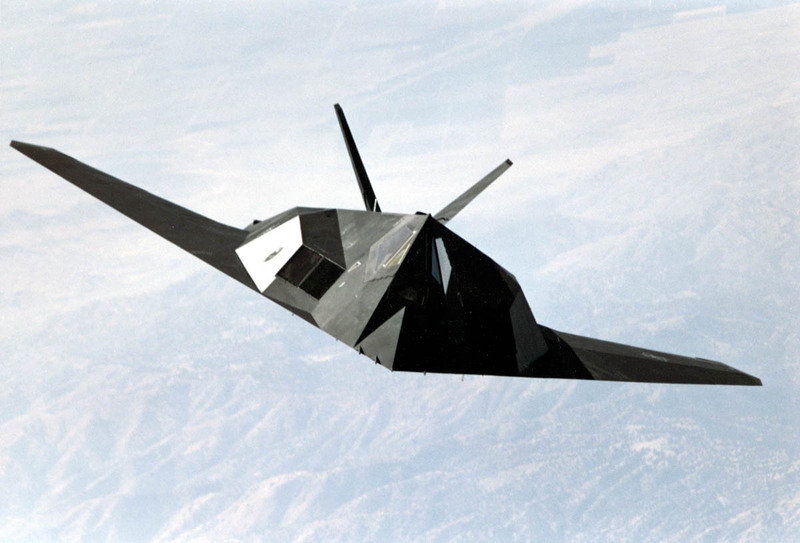 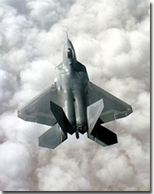 Its "stealth" characteristics blend low-observable technologies with high aerodynamic efficiency and large payload, providing greater freedom of action at high altitudes. 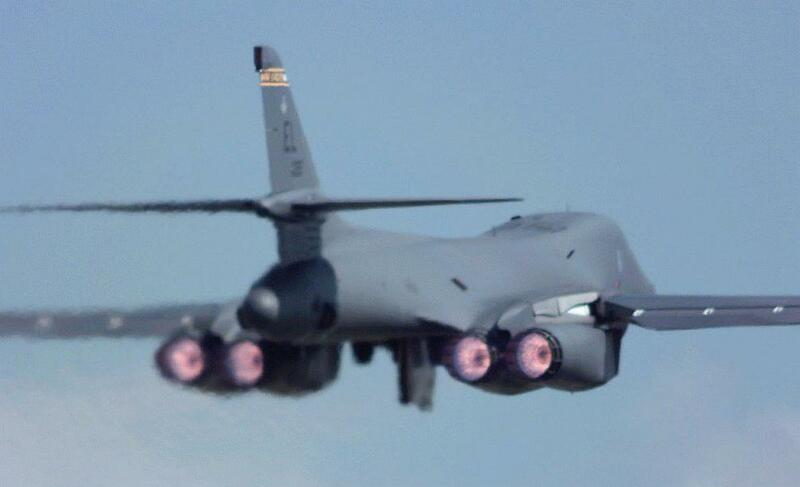 This increases its unrefueled range to approximately 6,000 nautical miles. 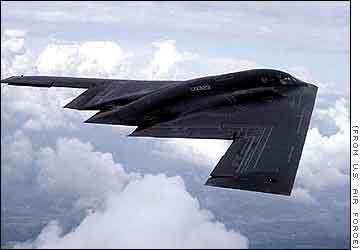 Prime Contractor: Northrop Grumman Corp.
Only combat-coded aircraft and not development/ test, attrition reserve, depot maintenance, or training aircraft. 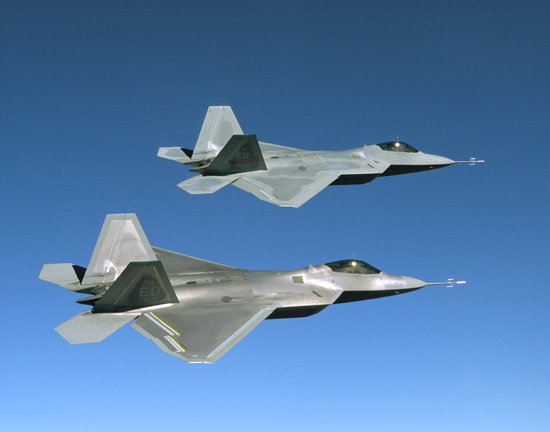 The F-22 is being developed to counter the increasing sophistication and threat of hostile air forces and integrated air defense systems in use around the world. 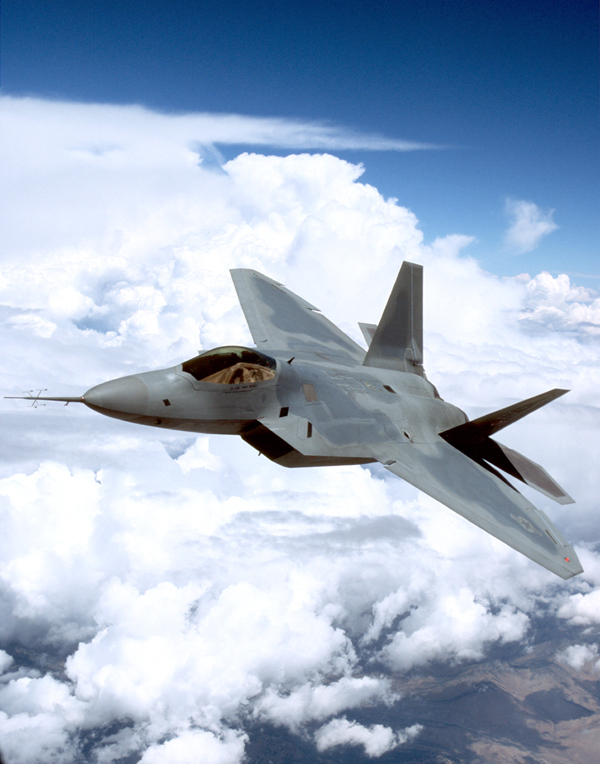 This fighter will provide air dominance and a precision ground attack capability for US forces well into the 21st century.